Gutters and eavestroughs can be the sources of major problems if they’re not properly cleaned and maintained before the cold and snowy weather hits. If your eaves and gutters are clogged with debris that prevents water from draining properly, two major problems can occur. First, the trapped debris will mix with draining water, which can then cause it to freeze into a thick mass. If this mass is large enough, it can actually buckle the metal in your eavestroughs, bending it out of shape and opening the door to a whole host of potential drainage problems. Also, your risk of developing ice dams increases greatly if your eaves and gutters aren’t properly cleaned. Ice dams occur when water can’t drain from your eaves, and ends up being pushed back up your roof and seeping under your shingles. This situation can result in significant and costly structural damage to your roof. While other factors, such as inadequate attic insulation, contribute to ice dams, they are often caused or worsened by clogged roof drainage pathways. 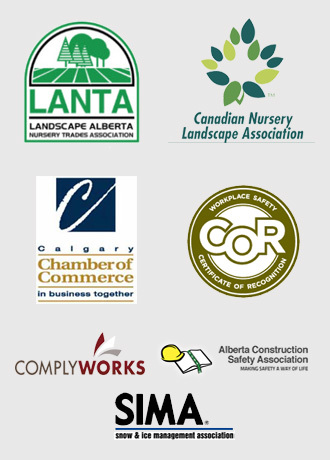 Mirage Landscaping are southeast Calgary’s winter care specialists. Here’s a quick guide to eavestroughs and gutters, including maintenance tips and professional care guidelines. Modern homes tend to have a lot of overlapping roof elements. Remember that each and every section of your home’s roof should have eavestroughs to support proper drainage. Installing or replacing gutters and eavestroughs is a job best left to the pros, unless you have specific training and expertise. Always choose aluminum gutters. Never use plastic ones. Aluminum is rust-resistant and far more durable and able to withstand the rigours of the Alberta winter. If you want to save some money and clean your eavestroughs and gutters yourself, safety is a critical consideration. Make sure you have all the necessary equipment, and take your time. A fleeting moment of carelessness is all it takes to cause an accident. The technique is simple: simply spread the tarp on the ground near the part of the house where you’re working. Extend the ladder, make sure it’s sturdy, then climb up. Use the scoop or handheld shovel to remove debris, and deposit the material you remove on the tarp for easy cleanup. Don’t reach. Instead, climb down, move the ladder over, and climb back up. Avoid twisting and turning when you deposit the debris you’ve removed. Work on a clear, dry day. Insulation helps prevent ice dams on the interior side of your roof by inhibiting heat transfer. When heating your home in the winter, warm air naturally rises. You need an insulation barrier in your attic to prevent that warmth from melting the snow on your roof, as ice dams can occur if that melted snow re-freezes. The effectiveness of insulation is measured using a metric known as R-value. The higher a given product’s R-value, the more effective a barrier it forms. Be sure your attic is outfitted with high-value insulation in support of your gutter maintenance. Another thing to keep in mind is that snow can melt very quickly in Alberta. Chinook effects can quickly erase accumulated snowfall, and spring brings a real risk of flooding in the region. Make winter a lot easier by trusting the professionals at Mirage Landscaping for all your snow removal needs. Our expert crews work quickly after a snowfall, helping homes and businesses stay fully accessible and compliant with city bylaws. You’ll be surprised to learn just how affordable our Calgary snow removal services are. 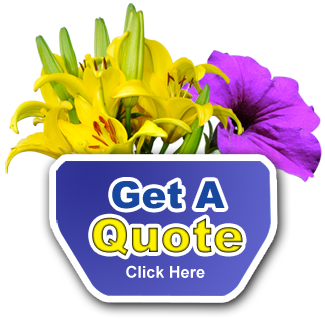 To get started, please contact us to request a quote.